Manchester Industries, a division of Clearwater Paper Company, began as a humble startup in 1978 and grew into one of the leading national paper sheeting companies in the U.S. with five facility locations nationwide. And like Clicks Web Design, Manchester Industries is guided by one most important principle – “Every Customer Matters”. 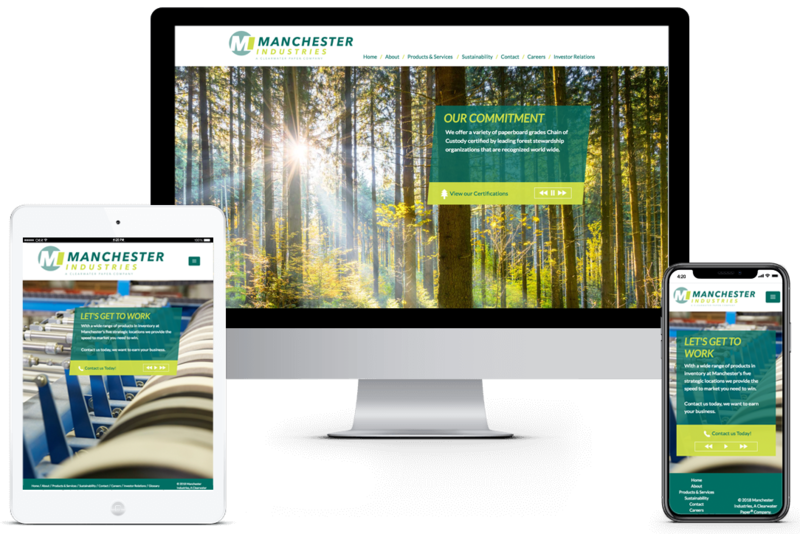 Clicks Web Design collaborated on a web development project with Manchester Industries designed to convey their core values, outline the products and services they offer, and emphasize their commitment to sustainability within the paper products industry.